This week Bethesda Softworks has released a new teaser trailer for their upcoming DOOM first person shooter game which will also bring with it six multiplayer modes for gamers to enjoy. The new one minute trailer provides a quick glimpse at what these six multiplayer modes will be and provides a look into three of the modes you will be able to play when doom is released later this year on May 13th, 2016. Six modes. Countless ways to kill. Infinite ways to die. Welcome to DOOM multiplayer, which delivers fast-paced and competitive combat in brutal, blood-spattered arenas. 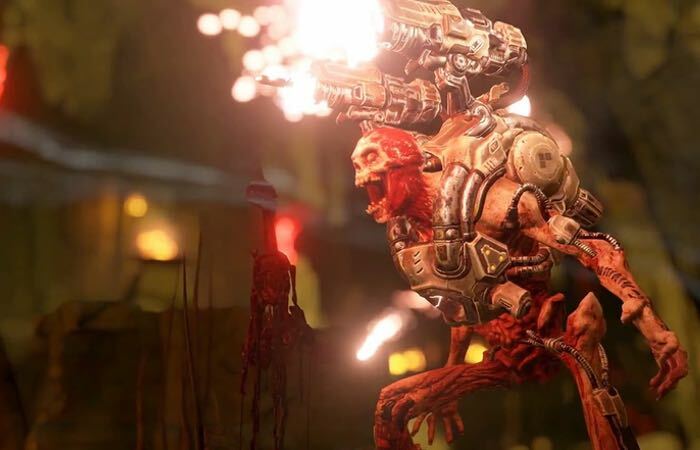 For a deeper dive into three of the modes you’ll be playing when DOOM is released on May 13, check out the video below. Whether you’re fan of classic deathmatch or looking for a unique twist on multiplayer, DOOM has something for you. Here’s a rundown of the 6 modes available at launch. Learn more about DOOM’s multiplayer, single-player, and its community tool, SnapMap, at the game’s official website, and through featured content on Bethesda.net. You can also follow DOOM through these social channels. For more information on the new DOOM game jump over to the official website for details via the link below.